I did that same BuzzFeed workout I did in week one of training, but this time I only did each circuit once. I supplemented with my full physical therapy regimen *pats self on back*. Interestingly enough, I was able to complete the exact same number of rounds on each circuit as last time, so while I suppose this means my fitness hasn’t improved wildly since doing this workout a month ago, it also means I haven’t gotten less fit. I consider that to be a win. Monday, July 13: 3 miles in 33:32 for a 11:10 pace. GAH. I truly can’t remember the last time I went for a run where it was THIS hot and THIS humid. I wouldn’t be surprised if it’s been years. Because I no longer have access to a treadmill, my options were “try to do this outside without dying” or “skip the run entirely and beat yourself up for it,” so I went outside and plugged away at three of the sweatiest miles of my life. I’m usually a fairly prolific face and torso sweat-er, but my legs rarely get sweaty. Well, on Monday, my shorts soaked through when I got home. It was insane. My last mile, actually, was an 11:52 – a full two minutes/mile slower than I had done easily the Wednesday before. I do NOT thrive in hot and humid conditions! Tuesday was not my finest hour in hip hop. I really struggled with the new choreography we learned that day and became increasingly frustrated with myself and the combo as class went on. Not very much fun . Breakdance, on the other hand, went quite well. Lately we’ve been working on moves we used to drill a lot but haven’t recently, and I’ve been pleasantly surprised to see how far I’ve come with them. I anticipated to climb autobelay routes all night, but to my surprise Erin and her husband happened to be climbing at the same time as me and were thoughtful enough to belay me on a couple top rope routes. I topped out on the same 5.7 from two weeks ago and a new 5.8 on autobelay upstairs (short routes), along with a 5.9 top rope route upstairs. I also managed to top out on the 5.8 autobelay downstairs, which I had tried to tackle a couple of times two weeks ago and struggled with (those downstairs routes just keep going! They’re so tall!). I was really happy about that! I made a valiant (in my humble opinion 😛 ) effort to top out a 5.9 top rope downstairs, too, but to no avail. I did earn a brand new blister on my finger though as a consolation prize! Thursday, July 16: 3 miles in 29:54 for a 9:57 pace. Behold: evidence of how dramatically the weather affects my running. There was a bit of a rain shower for about two miles of my run, but fortunately to soaking downpour waited until I had finished. Everything about this run felt SO much better than my run on Monday (well, except for my Achilles tendon, which was inexplicably tight and sore. That actually happened on Monday too, though.) and I was quite happy to log three sub-10:00 miles. Saturday, July 18: 3.14 miles in 26:29 for an 8:26 pace. 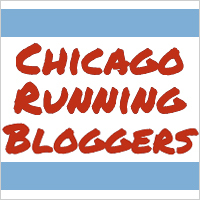 Rock ‘n’ Roll Chicago 5K. I’ll have a full recap of the race up tomorrow, but in summary: I FAR exceeded my expectations, given the weather, and had a much better time (both in the numbers-on-my-watch sense and the emotional sense) than I expected. Also my Achilles was just fine, which was a nice surprise. Obviously my weekly mileage was EXTREMELY low, due to the fact that I had the Rock ‘n’ Roll Half on Sunday (which, consequently, means next week’s mileage, at least by my weekly recaps, will be EXTREMELY high.). It was nice to take a little bit of a break, though. While I haven’t struggled to get actually get any of my runs in so far this season, I’ve definitely struggled with actually having a desire to go out and run more often than not. I don’t hate it when I’m out there, but the act of getting out there…it’s been rough, I’ve got to be honest. Every Saturday morning has been a mental battle for me, and weekday afternoons have started to be a battle as well. Running Rock ‘n’ Roll and being in that race atmosphere again helped a lot, as did getting our preliminary corral assignments for the marathon on Friday. On Thursday evening, one of my roommates and I passed each other in the kitchen, and she said, “I don’t know how you do it.” She had apparently just gone for a run with her boyfriend, and I guess it didn’t go well for her. At the risk of sounding conceited, those sorts of moments help me remember why I “do it” as well. I was never athletic in any capacity growing up, and I honestly would’ve given anything to have people admire my athletic ability in high school. Obviously high school is long over at this point, but I still get a lot of pride out of finally having something that qualifies as athletic ability, especially because I worked really, really hard to get to where I am right now. Running isn’t as shiny and sparkly and new to me as it once was, and I think when that initial excitement wears off it can be tough to shake the boredom. But, like anything in life, I think it’s important to learn how to navigate those emotional flatlines and not just throw in the towel because the thought of lacing up my Asics doesn’t make me heart eye emoji excited right now. It’s okay to not always feel ZOMGEXCITED about things, whether those things are jobs, relationships, hobbies, or anything else. It’s okay to feel “meh.” But just because you feel “meh” doesn’t mean you have to quit. (Of course, if you’re dreading it, then that’s a different story. Dread is not the same as “meh.” This could turn into a whole other blog post, so I’ll stop this tangent now.). Anyway, it was nice to feel my mojo return a little bit towards the end of this week. One third of marathon season is officially in the books! I never used to think the heat affected me that much but OH MY GOD Yesterday proved otherwise. So you’re definitely not the only one who notices a big change in pace when it’s a million degrees out. It seems like the entire country had a bit of a heat wave yesterday. I feel like I need to get a little more serious about my marathon “training” because I’m seriously slacking on building the long runs. Whoops. I feel ya on the heat and humidity. My 3 miler last week took me 34 minutes!! And afterwards I felt like I was going to pass out. This is making us stronger and we’ll be even better runners come fall right?! That’s what I keep telling myself! “Legal doping” is my mantra on those hot days hahaha! (Runner’s World had an article earlier this summer that running in heat can raise your blood volume similar to what doping does, so that’s what I’ve been keeping in mind 😉 ).